Dozens of small, fiber-wrapped bundles discovered in a cave in Arizona have been found to contain wild tobacco, the first scientific evidence suggesting that Ancestral Puebloans of the prehistoric Southwest chewed tobacco for personal use, archaeologists say. Such chewed bundles, known as quids, have been found throughout the Southwest, from Texas to California, often with teeth marks still visible. But what they contained, and what purpose they served, was uncertain until now. 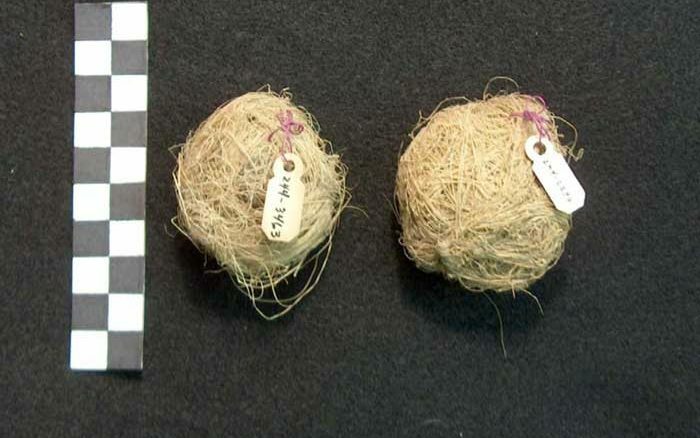 “As wads of fibers, perhaps they haven’t produced as much excitement as they could have, before we realized ancient folks were actually putting substances inside them,” said Dr. Karen Adams of the Crow Canyon Archaeological Center, who led the new study. “Before we took this close look, I think prior explanations centered around ancient people sucking on quids during times of food stress, maybe to get some minor amounts of nutrients out of them. The Arizona quids were originally excavated in the 1950s from a trash midden at the rear of Antelope Cave, a rocky enclave filled with artifacts left by Ancestral Puebloans over an extended period around 1,200 years ago. The cave contained a wealth of materials such as arrows, basketry, and feathered ornaments, giving researchers unprecedented insights into an early phase of Puebloan culture sometimes referred to as the Virgin Anasazi. But the quids remained unstudied, languishing in museum storage for half a century, until Keith Johnson of California State University, Chico, and his colleagues, took a closer look. Johnson recalled taking note of the quids when he catalogued Antelope Cave’s artifacts for what would become UCLA’s Fowler Museum of Cultural History in 1960. “We thought even then that some [of the quids] might include tobacco and noted this in the catalog,” he said. “More than 50 years later, as I began to describe and analyze the quids as part of a broader study of the materials from Antelope Cave, I found that most of the quids in the collection contained tiny plant fragments. A total of 345 quids had been recovered from the cave, all but one of which were found in its midden of cast-off trash. This suggested to the archaeologists that the quids were used informally by the cave’s inhabitants, rather than for ceremonial purposes. To determine what they held and how they were made, the team first analyzed the plant material inside 30 of the quids, and compared it with wild plant specimens cataloged in the University of Arizona Herbarium. To further refine the results, Dr. Terry Murphy of the University of California at Davis then conducted DNA tests on a selection of the quids. 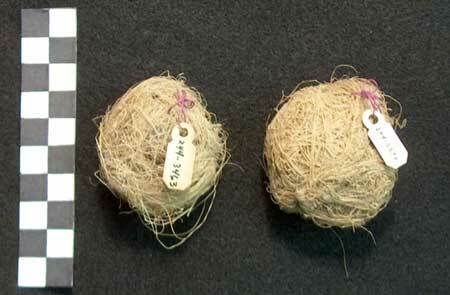 He first analyzed the fibrous covers of 10 samples and found them to have been made from yucca leaves. 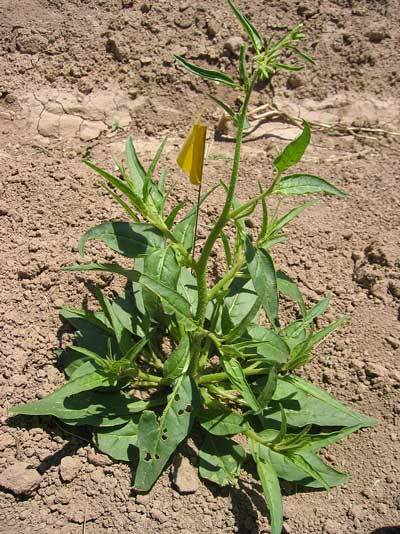 Then, in a subsequent study of 6 additional quids, results showed that their contents were specifically Nicotiana attenuata, or coyote tobacco, a species of wild tobacco that still grows in the area around the cave. Reporting their findings in the Journal of Field Archaeology, the team writes that their combined evidence suggests the quids were simply a common way for Ancestral Puebloans to ingest potent wild tobacco as a stimulant, in a manner similar to the use of modern chewing tobacco. “We believe that yucca leaf quids containing wild tobacco were sucked and/or chewed primarily for pleasure and the stimulant effect they brought to the individuals who inhabited Antelope Cave over hundreds of years,” they write. In an interview, Adams added that her team’s methods brought scientific rigor to a subject that for decades had only been a topic of speculation. “This study is among the first to utilize a molecular biology approach to identification of ancient plant materials in the U.S. Southwest,” she said. “So, essentially, we have provided evidence of how we know what we know. And yet, she pointed out, her team tested fewer than 10 percent of the quids originally discovered at Antelope Cave, and two of those contained plant material that could not be identified. 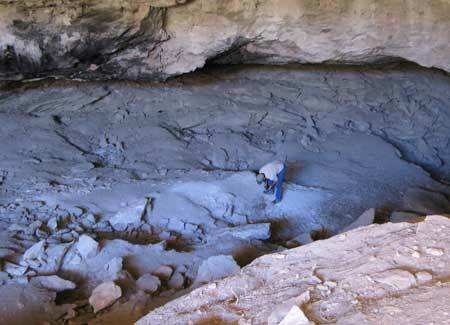 “We don’t imply that all quids at Antelope Cave — or elsewhere for that matter — would be the same,” Adams said. have any skeleton remains shown signs of the mouth cancers associated with tobacco use? Most likely they were offerings. Tobacco offerings are still prevalent today. They languished for 50 years? And they haven’t determined the substance in the other quids that aren’t tobacco? If archaeologists aren’t going to be efficient, competent, thorough and collaborative, then they should stay the heck out of the equation. So sick of archaeologists disturbing sites and then … nothing. Hiding millions of artifacts for decades with no follow-up is shameful.